When an atom's electrons move to a lower energy state, the atom releases energy in the form of a photon. 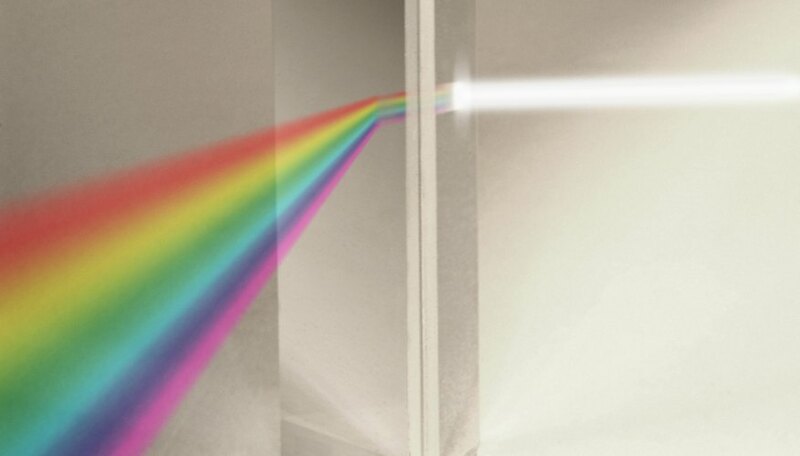 Depending on the energy involved in the emission process, this photon may or may not occur in the visible range of the electromagnetic spectrum. When a hydrogen atom's electron returns to the ground state, the light emitted is in the ultraviolet range of the electromagnetic spectrum. Therefore, it is not visible. The electron in a hydrogen atom orbits the nucleus at a specific energy level. According to the Bohr model of the atom, these energy levels are quantized; they can only have integer values. Therefore, the electron jumps between different energy levels. As the electron gets farther from the nucleus, it has more energy. When it transitions back to a lower energy state, it releases this energy. A photon's energy is directly proportional to its frequency and inversely proportional to its wavelength. Therefore, photons that are emitted due to larger energy transitions tend to have shorter wavelengths. The relationship between the transition of an electron and its wavelength is modeled in an equation formulated by Niels Bohr. The results of Bohr's equation match observed emission data. The Lyman series is the name for transitions of the electron between an excited state and the ground state. All of the emitted photons in the Lyman series are in the ultraviolet range of the electromagnetic spectrum. The lowest wavelength is 93.782 nanometers, and the highest wavelength, from level two to one, is 121.566 nanometers. The Balmer series is the hydrogen emission series that involves visible light. The emission values for the Balmer series range from 383.5384 nanometers to 656.2852 nanometers. These range from violet to red, respectively. The emission lines in the Balmer series involve the electron transitioning from a higher energy level to hydrogen's second energy level. Murmson, Serm. "Can We See Light Emitted by Hydrogen Atoms When They Transition to a Ground State?" Sciencing, https://sciencing.com/can-see-light-emitted-hydrogen-atoms-transition-ground-state-23613.html. 24 April 2017.